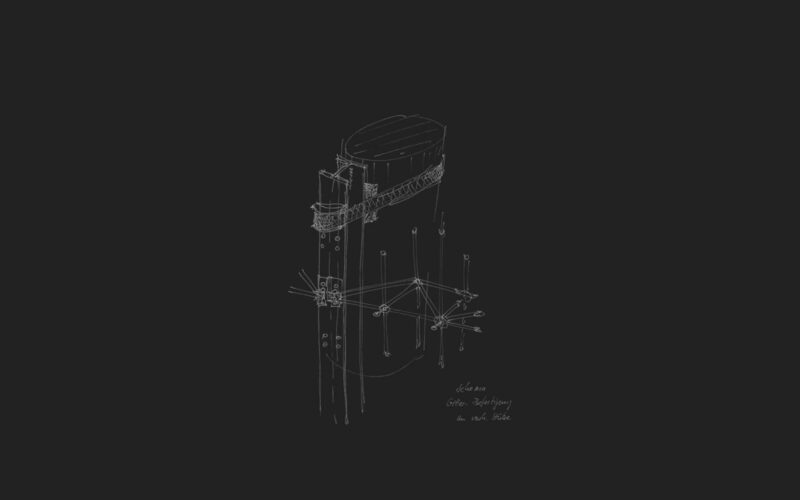 Who knows tomorrow? 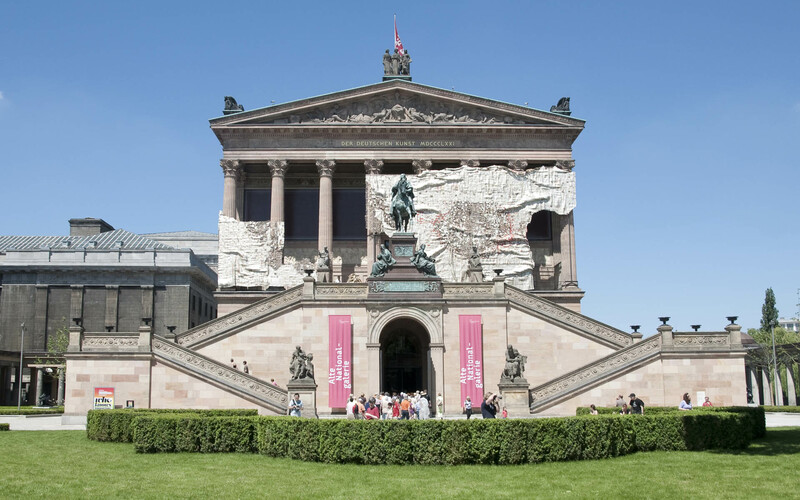 This wordly wisdom that is widely spread in Africa provided the title for a project at the Alte Nationalgalerie Berlin. 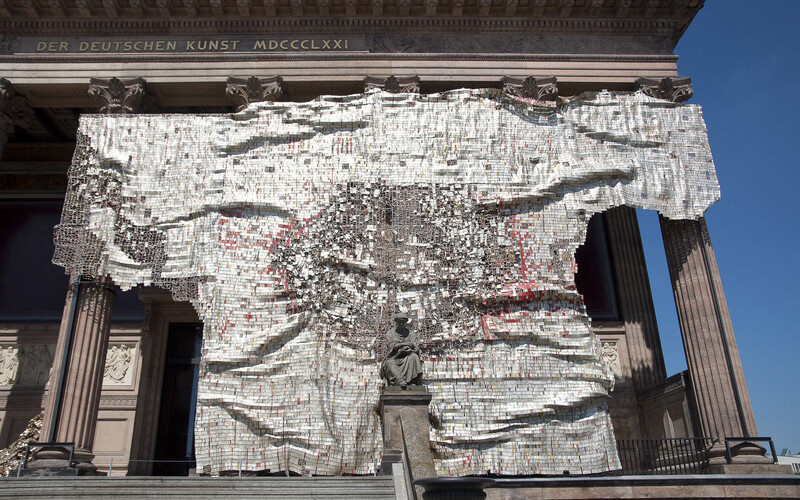 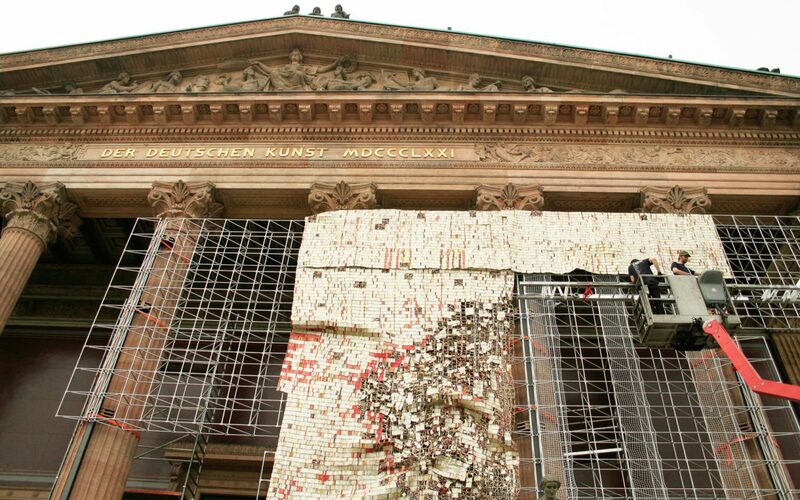 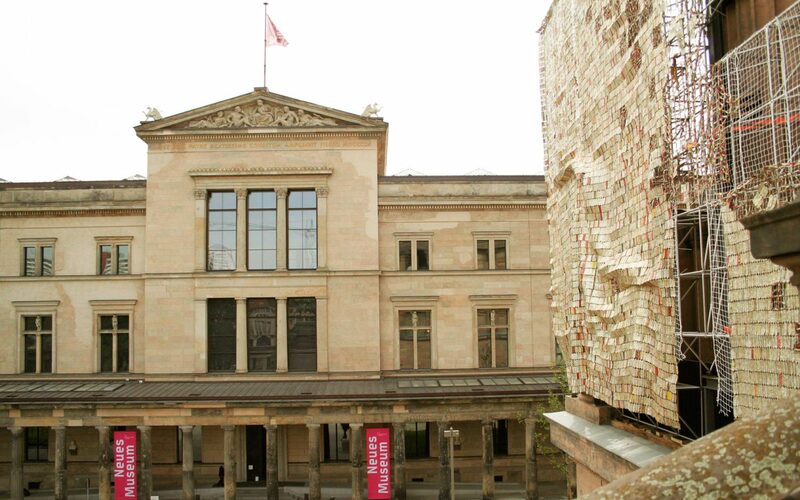 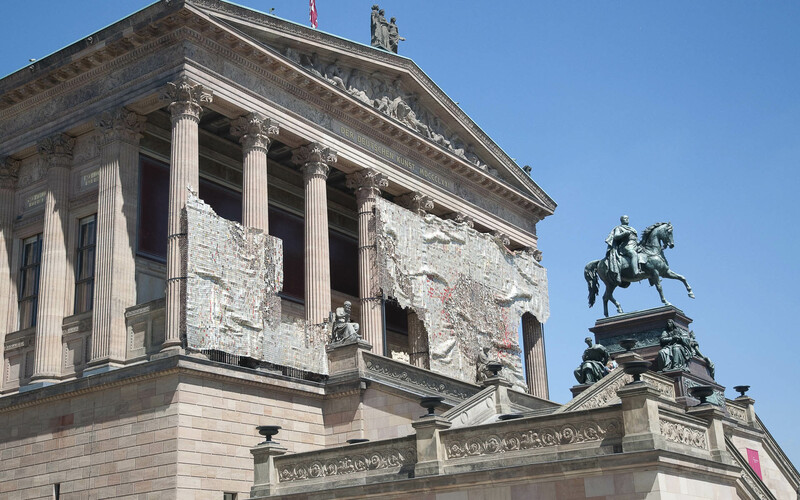 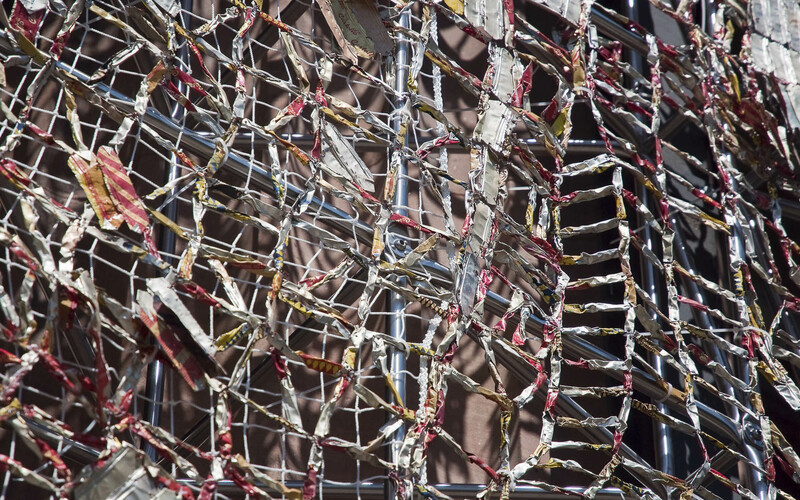 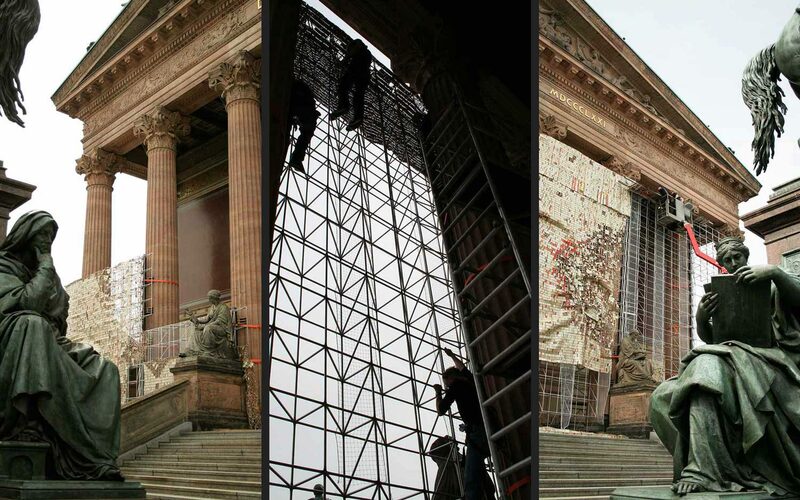 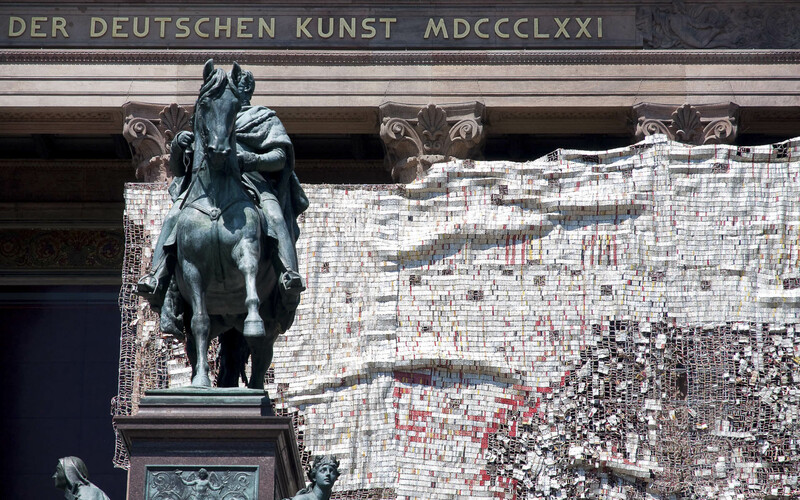 The installation ‘Ozone Layer and Yam Mound(s)’ that Ghanian artist El Anatsui implemented on the facade of the Alte Nationalgalerie had the appearance of a shimmering tapestry. 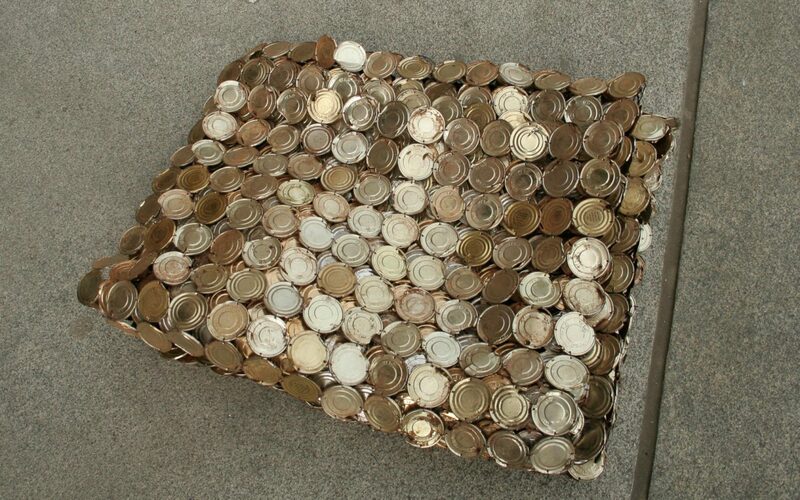 Up close sophisticated and artistically linked work was revealed consisting of innumerous small pieces of metal that originated from bottles and cans of alcohol. 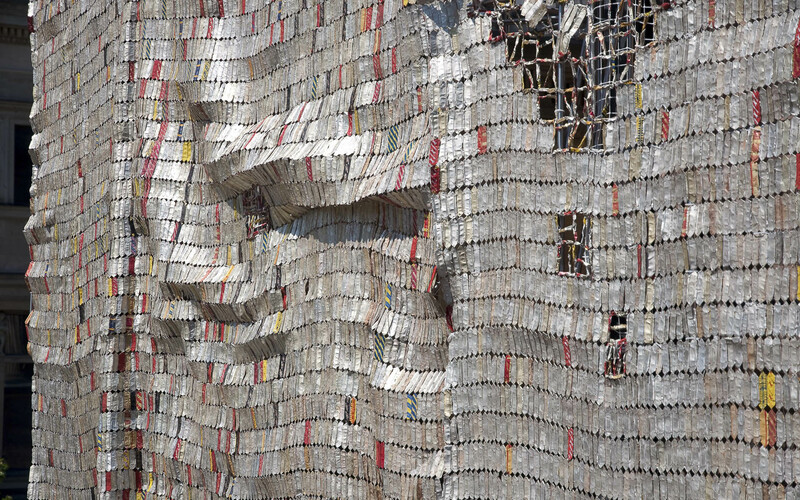 Through his recycled art the artist therefore transformed refuse to a magnificent tapestry. 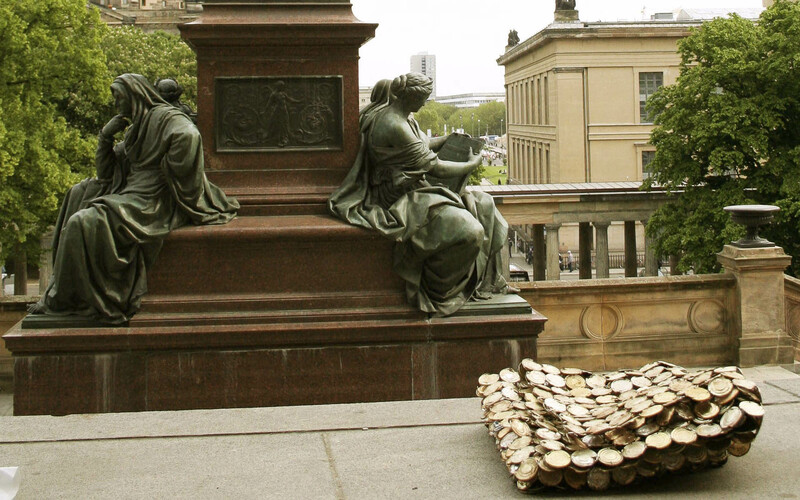 His monumental fabric was also based on the fine, royally colourful printed Kente fabric from Ghana and is at the same time a metaphor for the profitable colonial business: one of the German main export goods in the colonies was at that time liquor. 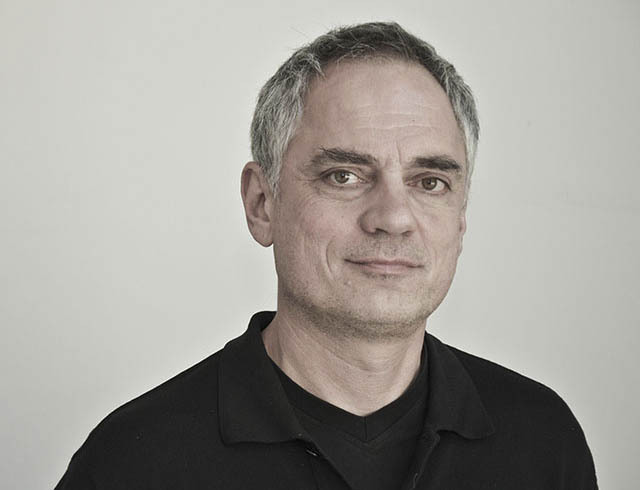 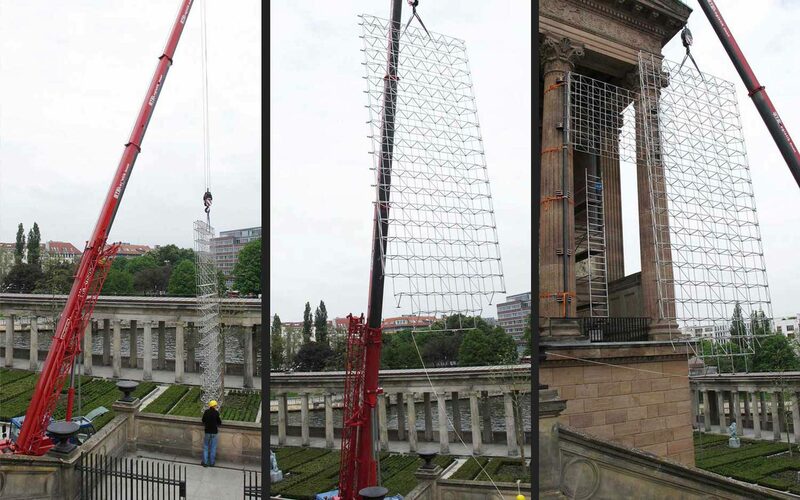 From the museum’s technical department we received the commission for the development and implementation of a suitable structural framework for the installation. 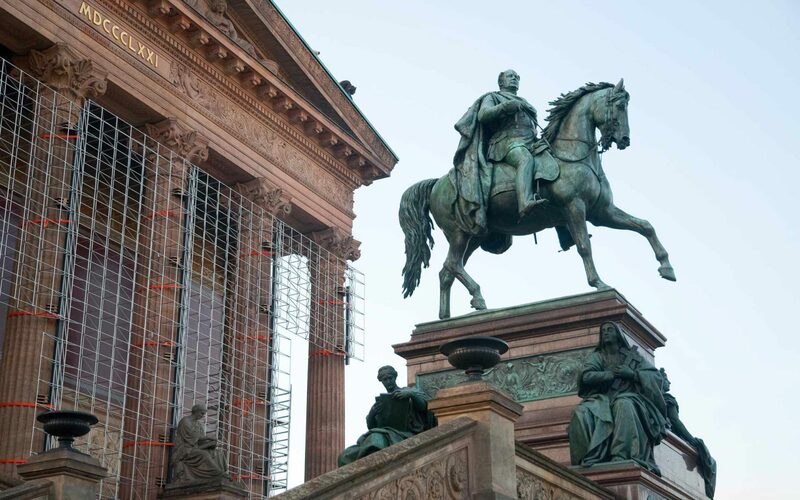 The decisive reason for the selection of System 180 was the aesthetic demand as well as the experience in construction with historical buildings. 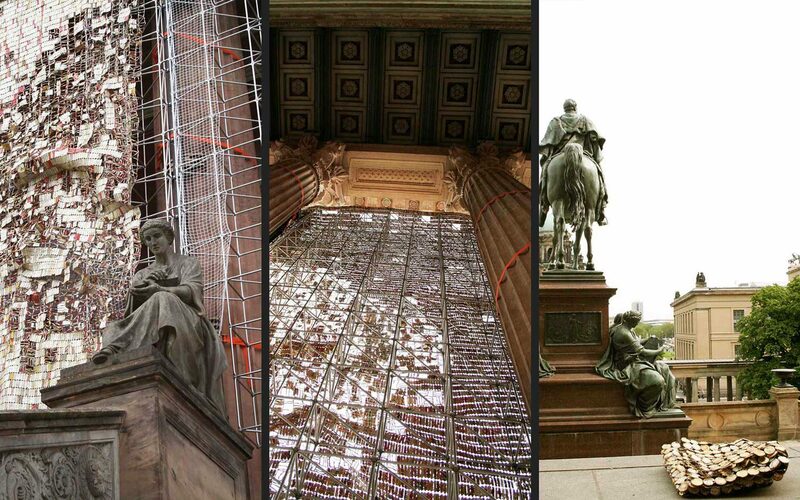 The construction was installed in front of the historic columned vestible and was constructed on a spatial stainless steel framework. 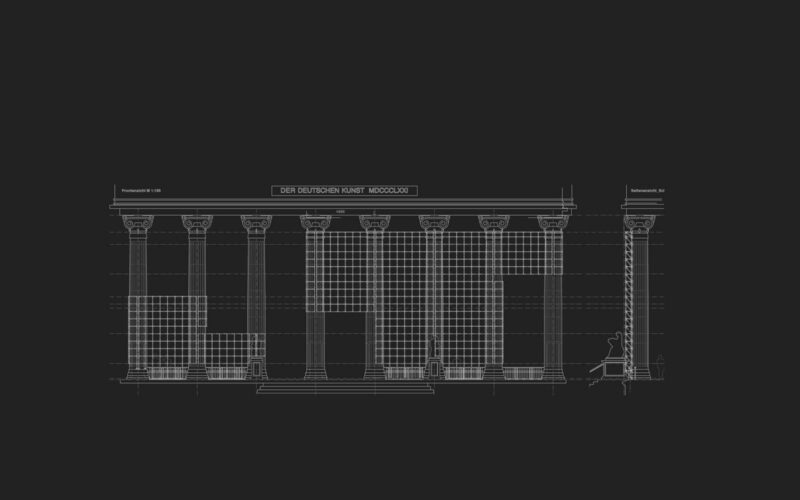 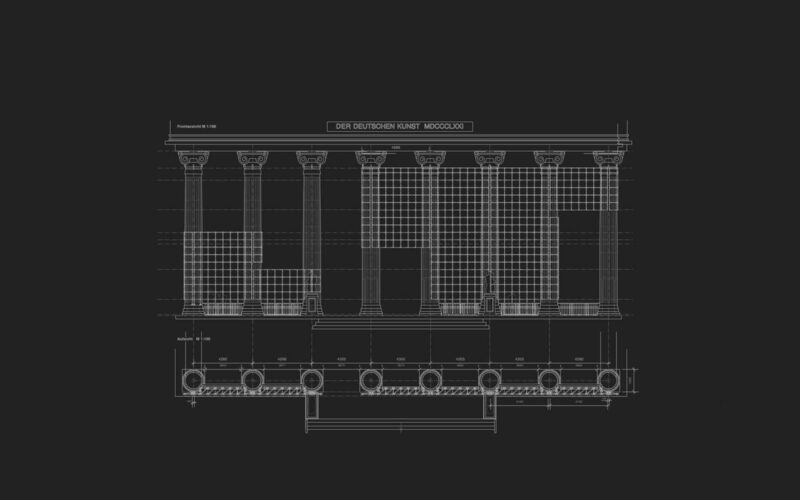 The enormous size and the installation on a listed building required particular care, planning and logistics. 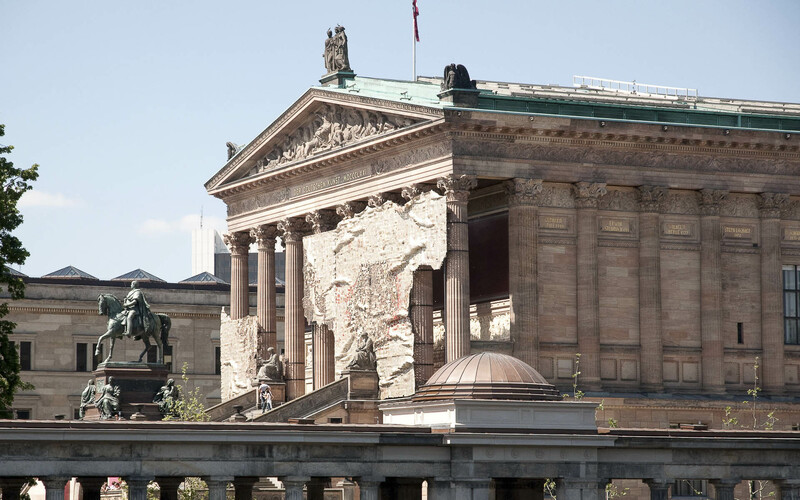 The neccessary connection to the building required great care so that no damage could be caused to the building or the work of art.